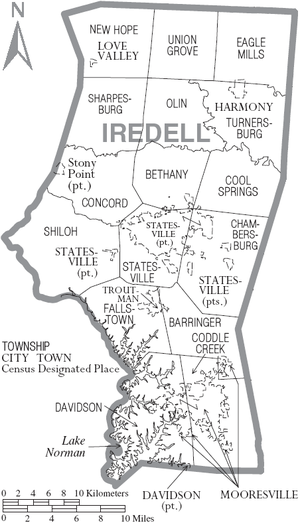 Legacy 2030 | Winston-Salem/Forsyth County Planning Board: What's Iredell County Doing? Nearby Iredell County has an interesting dichotomy relating to rural areas. The southern portion of the county, which is adjacent to the outlying growth of the Charlotte-Mecklenburg area, has largely given up on the protection of rural areas. However, the northern portion of the county is much stronger in programs relating to rural resources, largely dairy farming. The entire county does have a Countywide Farmland Protection Plan and there is a voluntary Farmland Preservation Program.